Words of Hope & Support from our Volunteers! The American Red Cross continues to provide assistance to Kenosha, Racine, and Walworth County residents after being hit with severe flooding. 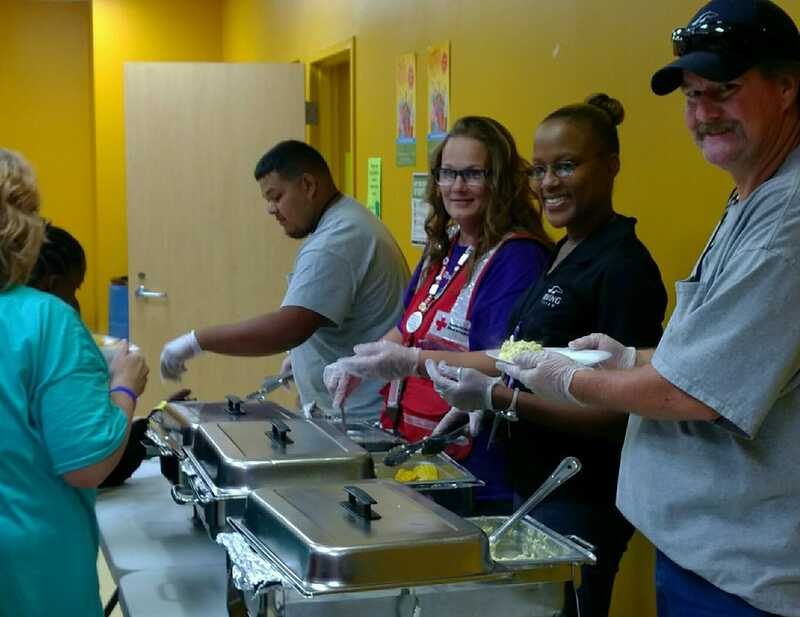 Red Cross, with partnering agencies, opened three Multi-Agency Resource Centers where residents were assisted with immediate disaster recovery needs. 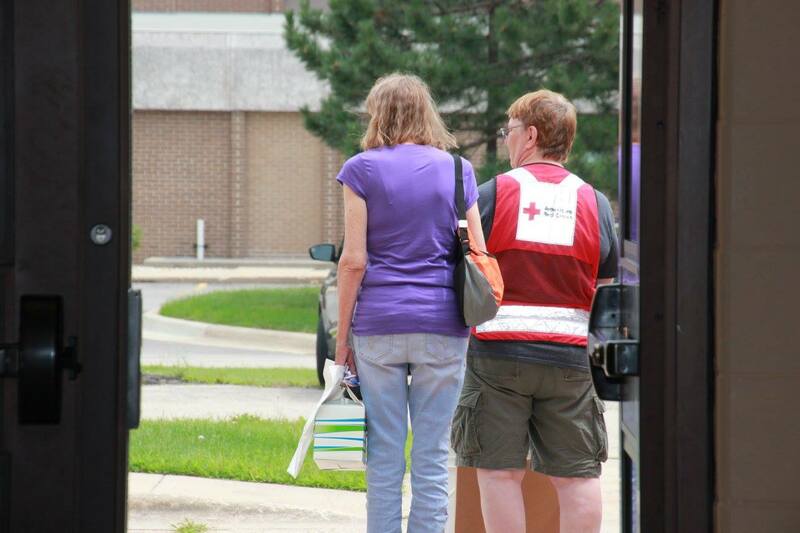 The Red Cross work continues in the Kenosha, Racine and Walworth communities and throughout Western Wisconsin. If you affected by the storms and have questions or immediate needs, please call 414-345-8678. The Red Cross and the communities it serves rely on local volunteers to provide humanitarian relief during times of disaster. You can become a Red Cross volunteer in your community when disaster strikes. To learn more, visit redcross.org/wisconsin. 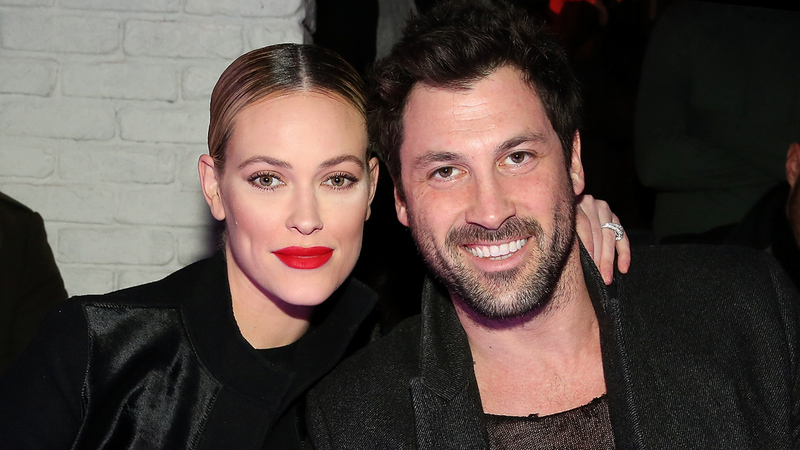 The 10th and final edition of the American Red Cross Dancing with Our Stars (aka DWOS) event, which will be a two-night extravaganza in late February, will feature appearances by professional ballroom dancers Peta Murgatroyd and Maksim Chmerkovskiy thanks to a sponsorship by Jack’s Maintenance. Billed as “ Dancing with Our Stars 2018: All – Star Edition , presented by the Schneider Foundation ”, local community members who participated in previous years are returning to once again be Star Dancers. Peta and Maks will serve as celebrity judges for the Saturday, February 24, 2018 ballroom dance show. They will also make an appearance at a Disco-themed Dance Party fundraiser the night before. Both events will be held in the Grand Ballroom of the KI Convention Center in downtown Green Bay. People in attendance will receive the chance to win personal experiences with Peta and Maks including the opportunity to dance with them. Paul Kardish of Schneider is also joining the team, taking the place of Chris Lofgren who participated in DWOS 2014. 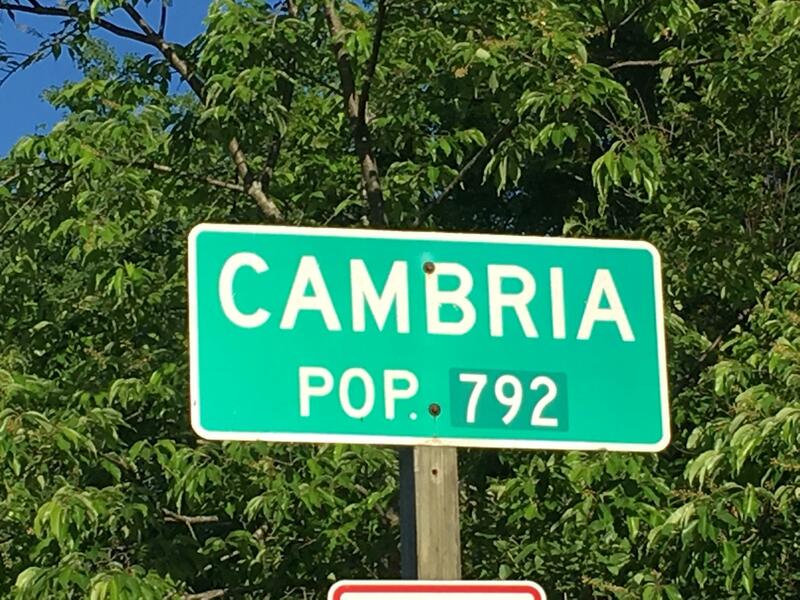 Cambria, Wis., June 1, 2017 – Following a deadly corn mill explosion in Cambria, Wis., on June 1, the American Red Cross is providing the affected families with emotional support services. “Trained mental health counselors are on-the-ground working directly with the people impacted by this tragic event,” said Barbara Behling, spokesperson for the American Red Cross Wisconsin Region. The Red Cross advises parents to keep a close eye on the children. When disaster strikes, a child’s view of the world as a safe and predictable place is temporarily lost. Children of different ages react in different ways to trauma, but how parents and other adults react following any traumatic event can help children recover more quickly and more completely. For additional information visit redcross.org.